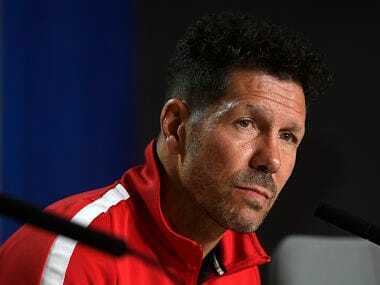 Simeone was ordered from the touchline during last week's 1-1 draw in the first leg of their semi-final with Arsenal after a heated exchange with French referee Clement Turpin. 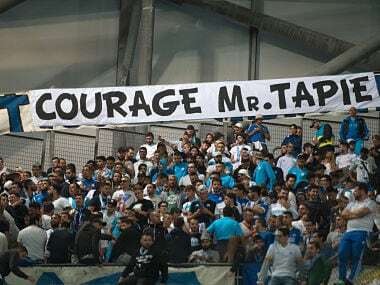 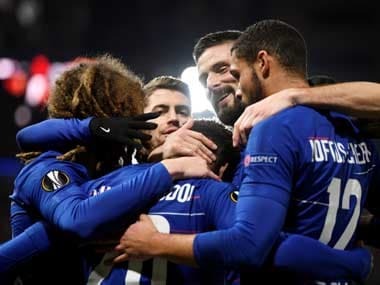 Salzburg produced a rousing second-half performance to wipe out a 2-0 first-leg deficit, but Marseille became the first French side to reach a European final since 2004 despite a 2-1 defeat on the night. 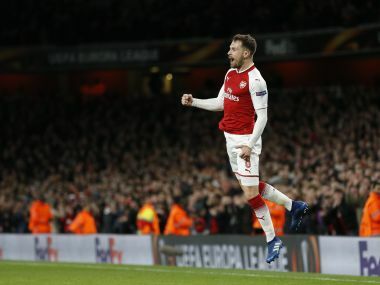 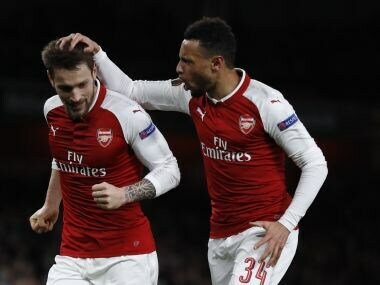 Arsenal quickly ended any doubt over the contest on the field as Aaron Ramsey and Alexandre Lacazette both scored twice in the first half to surely put the tie out of CKSA's reach. 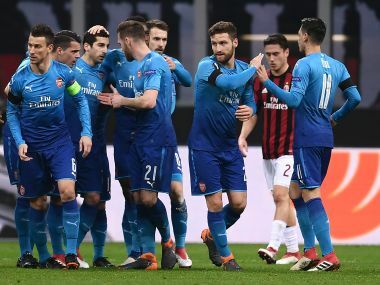 Danny Welbeck's controversial penalty and a Gianluigi Donnarumma howler helped Arsenal beat AC Milan in the Europa League 5-1 on aggregate, while Dortmund slumped to a shock exit at the hands of Salzburg. 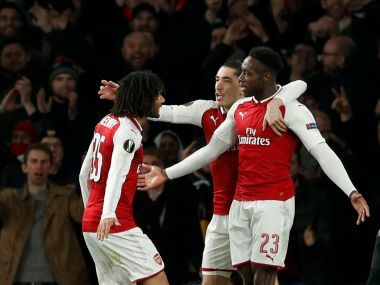 Arsene Wenger made 11 changes to the team that was beaten by Manchester United at the weekend, but Arsenal's second string put in promising displays to give him a 700th win as Arsenal manager. 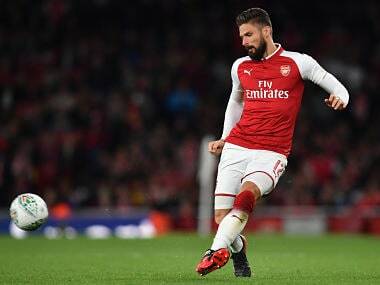 Giroud converted from the penalty spot early in the second half, becoming the 19th player to reach a century of goals for Arsenal.